Beautifully captured. Love the sparking lake. A vision firmly etched on the photo plate in my brain… steely grey light on a deceptively smooth surface, the looming dark horizon a portent of squalls to come. You paint such a beautiful picture, even if it is “grey” and of storms – but I am deeply fond of both. Ah, so gorgeous! 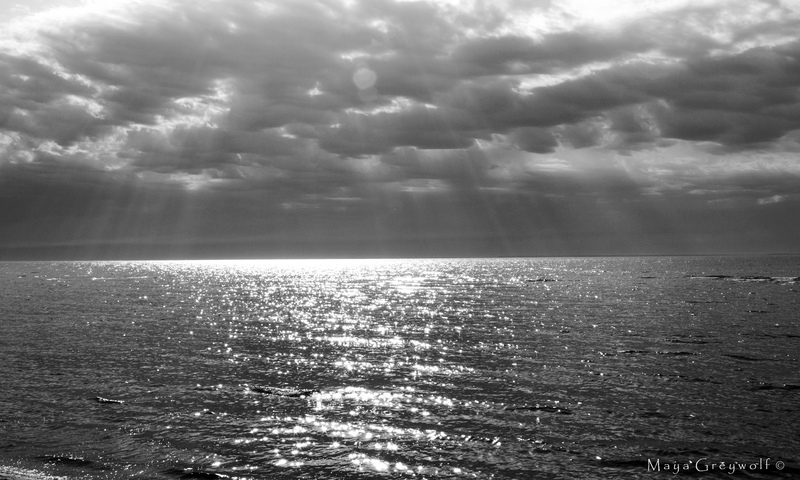 A heavenly image…love those rays and the shimmering light on the water!